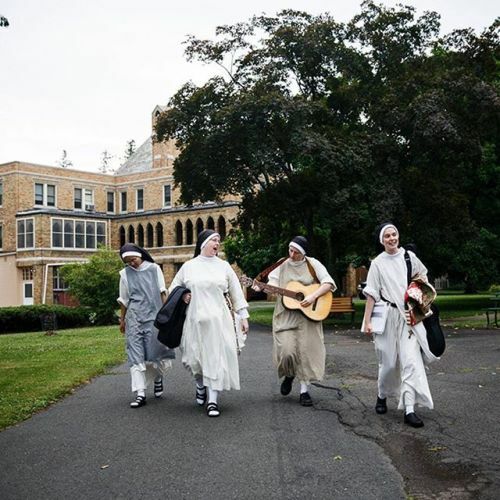 “Sister Joseph Maria, left, Sister Mary Cecilia, Sister Mary Magdalene and Sister Maria Teresa at the Dominican Monastery of Our Lady of the Rosary in Summit, New Jersey. Dominican monasteries are essentially engines of #prayer; singing, which the nuns do seven times a day, is a deeper, fuller way of praying. When @tonigreaves visited the community of cloistered #nuns, she was moved by their joyful embrace of a life that is, in many ways, countercultural. She found women who, despite having other chances for work, love and life in the secular world, had embraced a simpler existence of prayer, study and meditation. “We think of monasteries as these quiet places, and they are quiet, but I was surprised by the happiness, joy and love I saw there,” @tonigreaves told the @nytimes #lensblog. #” By nytimes on Instagram.